I hope you’re enjoying your summer even if the weather’s been as crazy where you are as it’s been in the northeast. The season started off really cool and rainy, and then wow, we had some insanely hot weather early in July. But at least it finally feels like summer. June was busier work-wise than I’d anticipated, but I enjoyed every second of it. 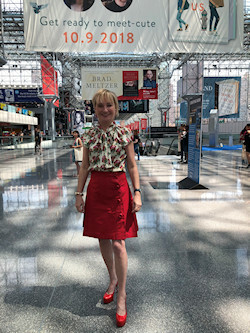 I kicked off the month by being on a panel about thrillers at Book Expo (thanks so much to readers who trekked to NYC for this convention! ), which included Lou Berney, an author pal of mine who is extraordinarily gifted. I was lucky enough to score an advanced copy of his highly anticipated crime novel, November Road (October 9), and it’s a breathtaking read. 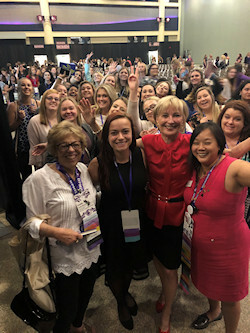 I ended the month of June by giving the keynote speech at the annual Delta Phi Epsilon Conference in Buffalo. What a terrific group of young women, all ready to take the world by storm. 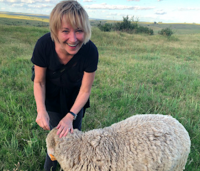 I shared lessons from my own, long and satisfying career. Like how important it is to ask for what you want even if you can come up with a good reason not to. 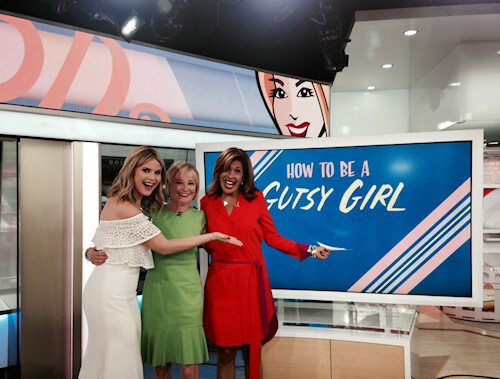 Speaking of career tips, I was thrilled to be booked on the Today Show to talk about my new book, The Gutsy Girl Handbook: Your Manifesto for Success. Hoda Kotb interviewed me along with Jenna Bush Hager. 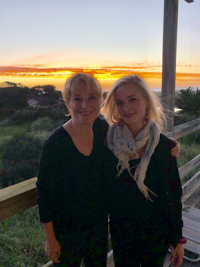 It can be nerve-wracking to do a big show like that, but the Today Show is one of those places where everyone—including the hosts, the producers, the camera operators, the fabulous head hairstylist, Suzie—all do everything to make you feel comfortable and relaxed. I just want to point out that I did not intentionally wear a dress that matched the cover. Did you catch the segment? If not, simply click here. On the mystery-writing front, the great news for me is that my eighth Bailey Weggins mystery is finally finished (spoiler alert: it’s Bailey’s first up-close encounter with a possible serial killer) and I just started working on my next stand-alone psychological thriller. I’m in that early giddy phase when I have a crush on the characters and the plot, and it reminds me a little of falling in love, when everything is new and shiny bright and you haven’t spotted the warts yet, and there are no flashes at this point of terrifying, crippling doubt. I’m really enjoying myself! I hope you’re really enjoying yourself, too. Wishing you a wonderful second half of summer. 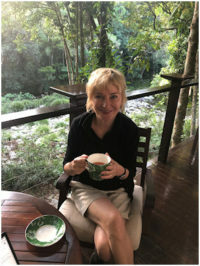 Persons Unknown by Susie Steiner: I read a really stinky, preposterous psychological thriller lately, one that got a ton of buzz (I’m going to be nice and not give the name), so it was refreshing to experience Persons Unknown, Susie Steiner’s second book about British police detective Manon Bradshaw. Perhaps the twists aren’t quite as twisty as those in her stunning debut, Missing Presumed, but the writing and characters are so, so good, and I thoroughly enjoyed it. Especially after the ridiculous one I’d consumed the week before. Something in the Water by Catherine Steadman: A #1 New York Times bestseller and wow, it’s everything you heard it was. 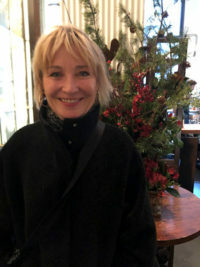 The British author is also a successful actress, who played Mable Lane Fox in season 5 of Downton Abbey. This is an absolutely thrilling read that leaves other psychological thrillers in the dust. I’ve been lucky enough to travel to Provence several times, but it’s been awhile and I really miss that magical place. So I often set my table with Provence style touches (like a bouquet of herbs in a vase on the table rather than flowers) and I also cook as many dishes as possible that remind me of my enchanting times there. 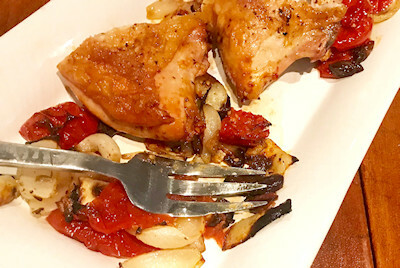 Recently I came across an old recipe I’d saved for chicken that you roast surrounded by tomato quarters, onions, black olives (the kind in brine) and sliced garlic, which you have tossed in olive oil, a teaspoon of herbs de Provence, and ½ teaspoon of fennel seeds. Those seasonings are so evocative of the area and I was immediately transported back there.